It’s the time of year when you go to butter your toast and find it partially melted. That is easier to deal with than the time of year when the butter is too hard to cut. It’s a crock with a bell you fill with butter. You put an inch of cold water in the crock and turn the bell upside down in it. The cold water keeps the butter at the perfect temperature. It won’t melt or harden, and you can use every last bit of butter. 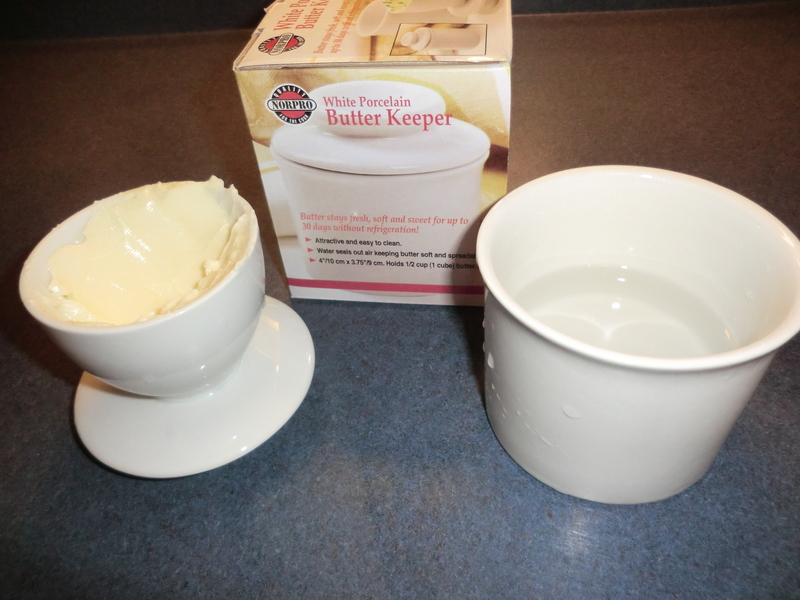 You put a stick of butter in it, leaving no air holes and change the water every few days. You get perfect consistency butter every time. This entry was posted in Food, Maintain It and tagged Food, Maintain It by Frugal Fish. Bookmark the permalink.